Cities become well-known for their historic architecture, tourist attractions, and of course, for their people, who create the cultural and artistic life of a place, playing the lively melodies and rhythms that sound throughout the city from crowded bars and restaurants. 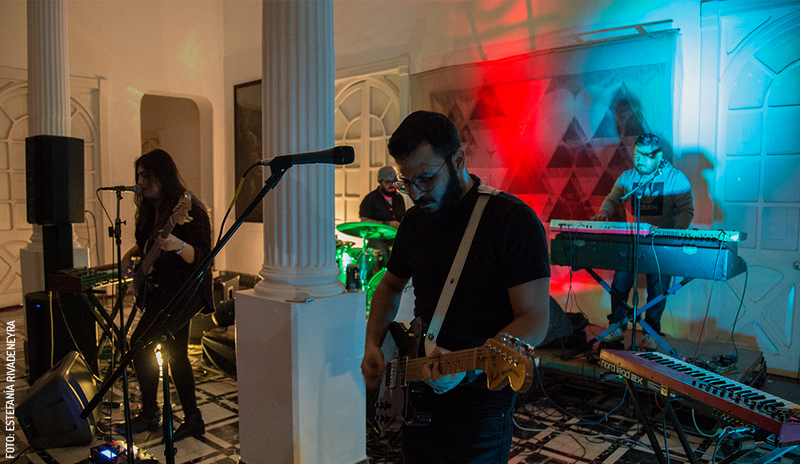 Here in Mérida, amazing bands bring life to the local scene, and they should be on your playlist! Traditionally, Mérida has been a cradle for important composers and musicians, dedicated to “trova” and romantic ballads. Without a doubt, the landscape has evolved over the last few years with waves of new artists, interpretations, and musicians who have submerged as modern bands. You can find them in the bars, markets, terraces, and the new scene of gastropubs, especially in the Centro and on Paseo de Montejo. As well, the technology of the Internet and social networks makes it easier to learn about local creations and interpretations on platforms like YouTube, Facebook, Apple Music, and Spotify. We gave ourselves the task of preparing a list of some local bands that you don’t want to miss, above all if you want to hear the talented music of Mérida. Surprise yourself with the different genres that span all the way from soft rock to soul and jazz. Local artists and bands have dabbled in in hip-hop and feminine rap in Spanish as well as in Maya with great success in festivals in México City and abroad (Las hijas del rap, Pat Boy, and Jazmín Novelo); other artists have placed their bets on rock, soul, jazz, and unforgettable tributes (Gina Osorno and The Dreamers as well as Gaby Ruz with NIIU); and there are young bands who are creating their own sounds (Pargo). 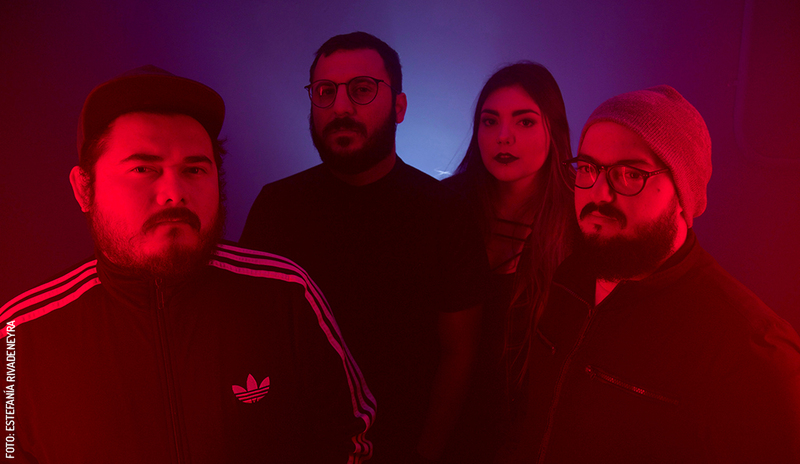 With a fresh sound, Pargo has been making music in Mérida for almost two years, playing a dreamy rock in a style which they define for themselves, featuring sparks of electronic, dashes of rock and roll, and the progressive qualities of indie. The band’s name is an illusion to a fish. Like the phrase, “a fish in water,” Pargo demonstrates a fluid style in each of the five songs in their young musical library. 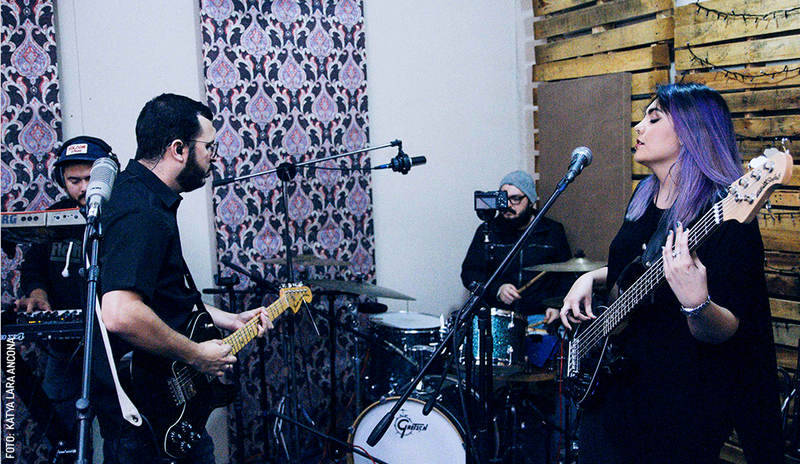 Tania López (vocals and bass), Gerardo Abreu (guitar and vocals), Manuel Garrido (chorus and synthesizer) and Fernando Peniche (drums) are currently preparing their second set of material. Find them as “Pargo” on all music sharing platforms. 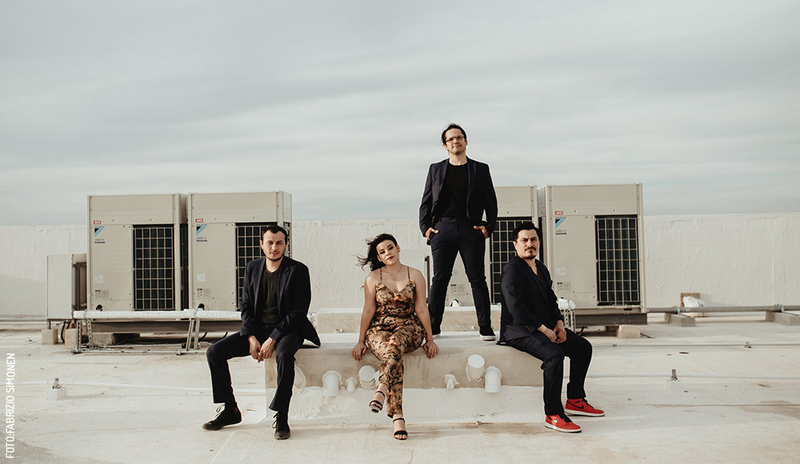 Pargo’s sound feels influenced by Mexican bands like Zurdok and Café Tacvba. “Signos,” one of my favorite songs, is available on their YouTube channel, and it will surprise you. Don’t let this group get out of your sight! Her powerful and well-trained voice have won credit and acknowledgement as a rising singer-songwriter in Yucatán, as well as the adoring support of her fans who follow her everywhere she performs, with her bands The Dreamers as well as The Copy Paste. With the former, she presents jazz numbers, recently performing in the International Festival of Jazz in Jalisco. They prepare original songs fusing jazz, swing, and samba with the regional rhythms of trova, bolero, and jarana. You can hear The Dreamers on Mondays at El Cardenal and in Gin 47 on Wednesdays. With The Copy Paste, the musical concept is free and generous. You can hear her sing with them on Fridays at Hennessy’s Irish Pub and Saturdays at La Bierhaus Colonia México. It’s not enough to hear Gina only once; she always surprises her audience with her incomparable voice on the local band scene. Her fun personality makes each performance unforgettable. She is also available for social events and weddings at [email protected].